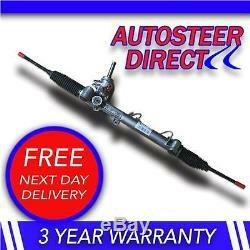 Volkswagen Golf Mk4 Power Steering Rack 98-05. Fully reconditioned power steering rack to the highest of standards. Not only do we replace all internals with new parts, we also re-chrome the rack bar (see pictures) which is guaranteed to last twice as long. And we will be more than happy to help. About Us Located in Saltney, Chester. Applicable to all domestic and commercial vehicles, Taxis, Vans, Vintage & Classic Cars, Trucks, Boats, Plant Equipment. Our quality service is based on excellent customer service and high quality reconditioning to ensure our customers have the best possible product at the right price. The Reconditioning Process With over 20years experience Our reconditioning procedure is rigorous, The part is stripped down, visually inspected and cleaned. The part is then built back up with all new parts that equal or exceed OEM quality The part is then tested on our test rig to ensure the quality is up to standard before being dispatched. We will collect Your old unit FREE of charge. All you need to do is ring us once your old part is ready to be collected and we will send a courier. Most of our units are built up and ready to go out straight away, However some parts may still be in the reconditioning stage and could take a day longer to send out. Please make sure that the system is completely flushed and correct and new oil is put back in, failure to flush the system can cause the rack to fail as any dirt or grit left in the system can cause damage to the reconditioned rack. The item "Volkswagen Golf Mk4 Power Steering Rack 98-05" is in sale since Thursday, February 06, 2014. This item is in the category "Vehicle Parts & Accessories\Car Parts\Suspension & Steering\Steering Racks & Boxes".